The spring wildflower season is in full bloom around Lake Wicwas, and due to a week of cold, wet weather, they are having a long season. 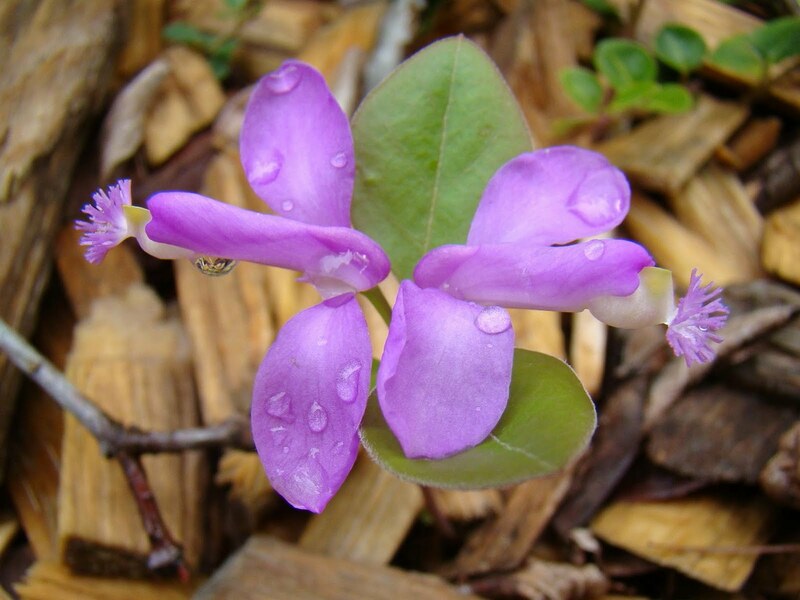 Some of the flowers you can see right now around the lake include Wild Strawberry, Goldthread, Violets, Trillium, Mayflower, Eastern Starflower, and one of the prettiest little flowers, Fringed Polygala. This summer's blueberry crop has started, with the low-bush blueberries in blossom. I discovered a new shrub along the shore of Lake Wicwas, something I haven't seen before, but believe it to be a Rhodora. 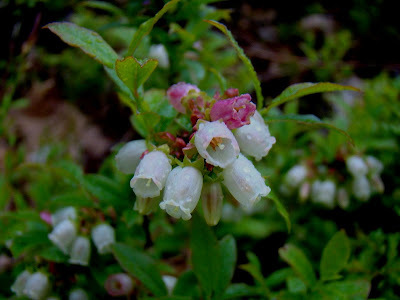 It's similar to an azaela, or a rhodoendrum. 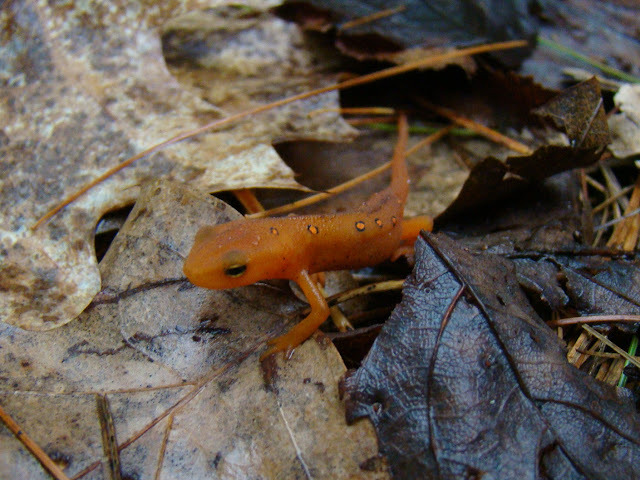 One of my favorite woodland creatures, the Eastern Newt, has emerged from its hibernation; I caught this little guy just crawling out from the leaves last week, and by yesterday, there were dozens around the forest. I haven't seen a lot of loon activity on the lake this spring (although, I haven't been out on the lake a lot either). There were a couple of loons out yesterday, acting up a bit, but it wasn't clear whether it was mating behavior or aggressive behavior. 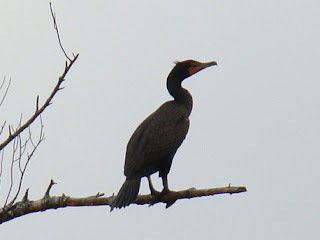 The less interesting birds are more evident. 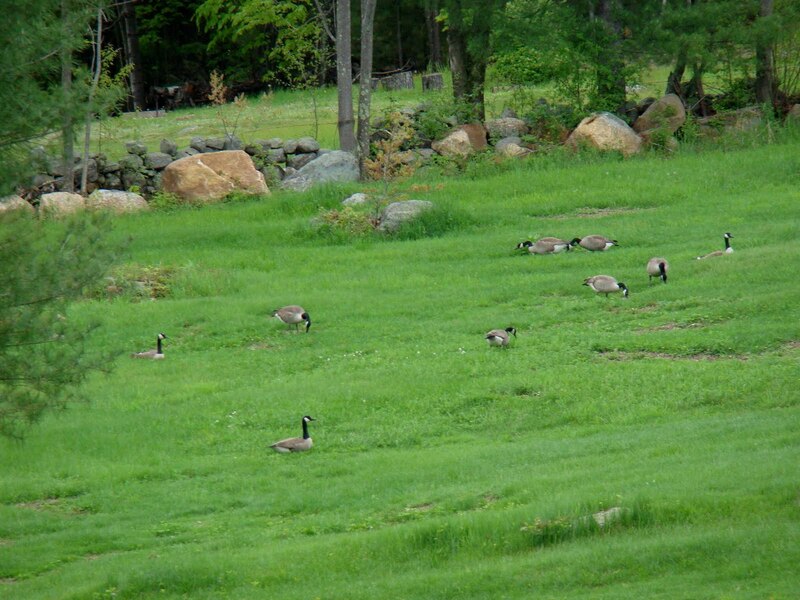 The geese have taken up on the field as usual, making plenty of noise as they argue with each other. And there's at least one cormorant back on the lake, taking up its usual perch in the dead pine trees. We haven't seen the sun here for more than an hour this whole past week. All the rain has brought the lake back up to 10 inches above full level. In addition to the bass boats, there were several pleasure boats on the lake this weekend, in spite of the less than desirable weather. We all keep hoping nice weather will arrive some day.